The codex is a manuscript, used since the fourth century, made of parchment or papyrus and is the predecessor of the modern book. It is useful for secret messages that may need to be hastily destroyed as it corrodes easily. 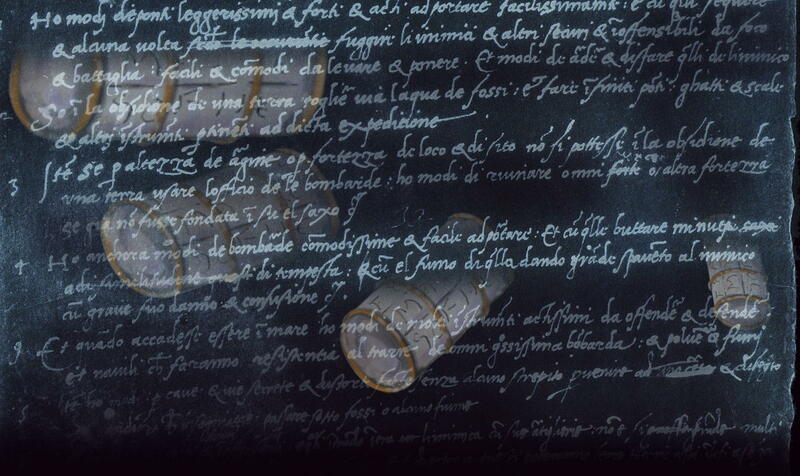 Leonardo Da Vinci also used backwards writing and other codes on the codex for added secrecy. 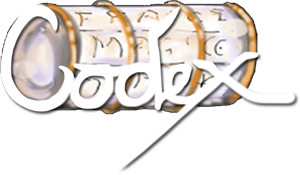 This website comes in two parts, one is a modern codex, providing information and secrets on a wide range of subjects that will help you in life (currently the French part of this site has more of this). The other part is riddles and games, including 40 riddles inspired by The Da Vinci Game - a board game with rhyming iambic pentameters called The Codex in the game, Rose clues, which are also rhyming riddles, Logic Key questions where you have to work out what number is the answer and Vitruvian Man questions which are anagrams of a famous person, book or film. If you click on any of the 'Riddle' links to the right, you'll find one of each type of question there, giving you 40 online riddles in all. These are original riddles similar to the 800 riddles that are in The Da Vinci Game itself.